Did you enjoy your visit here? Have you come to visit us? Here is your chance to share your experience with us! Please fill out the form below and send it in. We look forward to hearing from you, and we appreciate your feedback. 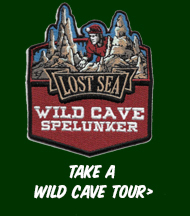 Have you visited the Lost Sea?